Singapore has been one of the favourite countries to visit within South East Asia. As a tech and food hub, visitors flock to immerse themselves and be in awe of the colours, sights and sound of what this tiny island has to offer. There is plenty to see for tourists and locals alike. Singapore’s main island is surrounded by 63 offshore islands. This week, we take a look at Sentosa Island, the go-to place to visit when you are in Singapore. 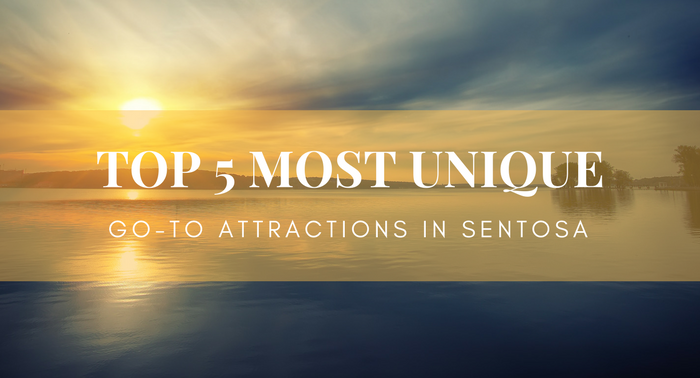 Here are the top 5 most unique attractions in Sentosa you should look out for. Hollywood comes to Sentosa! 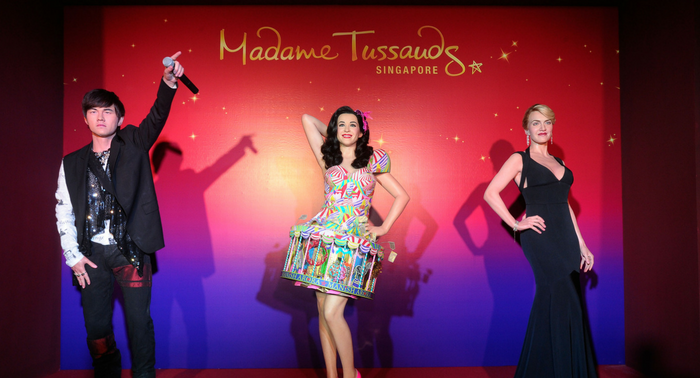 This famous wax museum originated from London and is now one of the main attractions on the island. Enjoy endless photo opportunities and “rub shoulders” with international A-list celebrities like Beyonce, Katy Perry, Marilyn Monroe and even Bruce Lee. Asian visitors will be delighted with familiar faces like regional celebrities Shahrukh Khan, Stephanie Sun and Michelle Yeoh. Online ticket starts at SGD$29. Adrenaline junkies will appreciate a new addition to Siloso Beach. There is a myriad of activities available on this attraction but its most famous for their core product, the Bungy Jump. If that’s not enough, you can also experience the Giant Swing, Vertical Skywalk, Sky Bridge or Top Swing. Be prepared; these activities are only for the brave, not for the faint heart! 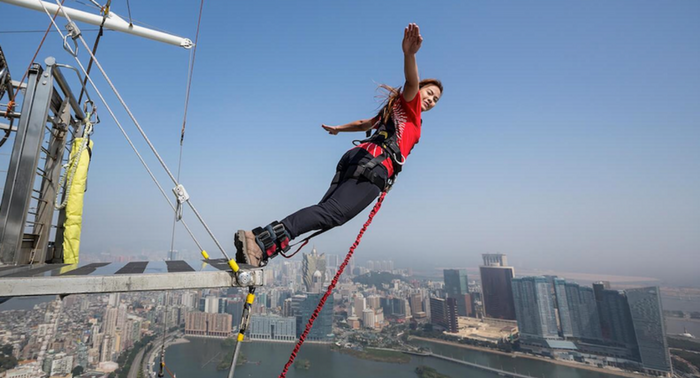 Online ticket for Bungy jumping starts at SGD$199. For the romantics at heart, this family-oriented attraction in Singapore is perfect for an evening of relaxation after a day of discovery on Sentosa island. Royal Albatross is the only luxury tall ship on the island that offers an exquisite dining experience everyone can enjoy. On a romantic dinner cruise that our Sunset Sails offer, the package includes a 2.5hr sail, an international dining menu, a welcome drink and onboard entertainment. Get ready for a once in a lifetime experience on this magnificent tall ship. 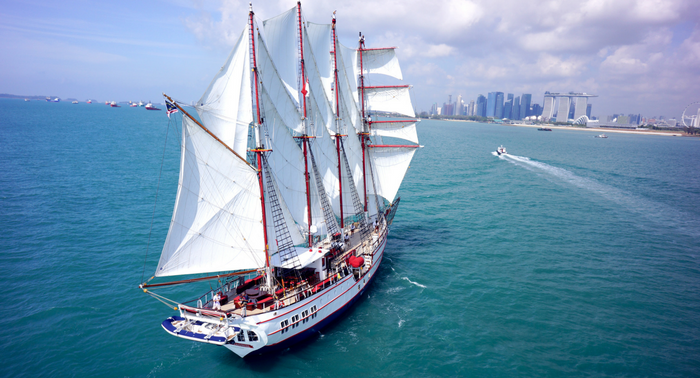 Online ticket for Sunset Sail starts at SGD$165. 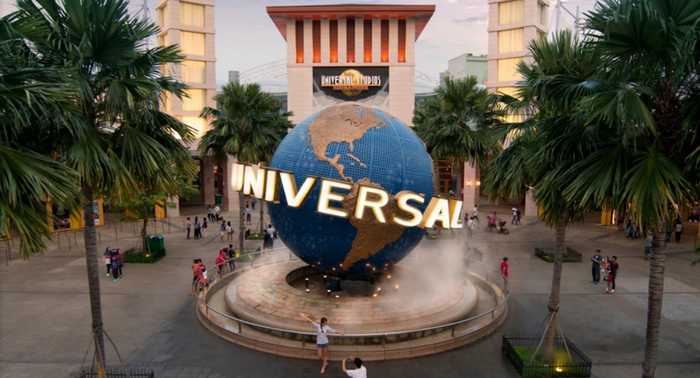 Located at Resorts World Sentosa, Universal Studios is perfect for a family outing and getting the kids busy with sights, sound and Disney characters they adore. There are seven district zones you can explore with a galore of activities to take part in. From Ancient Egypt to Madagascar to New York, a trip here will most like you leave you and your family wanting more! Tip: Do visit early to cover and enjoy as many attractions within a day. A one-day adult ticket starts at SGD$76. No surf in Singapore? Now you can at the Wave House! This water attraction in Singapore is one of our favourites. Try the Double Flowrider for a newbie friendly gentle session and ride the waves either on a flowboard or bodyboard. For surfers looking for a more exhilarating ride, the FlowBarrel will sure to keep you on your toes for you to catch as many barrels you can. This attraction is pure fun and open to all ages with a minimum height requirement of 1.07m and above. 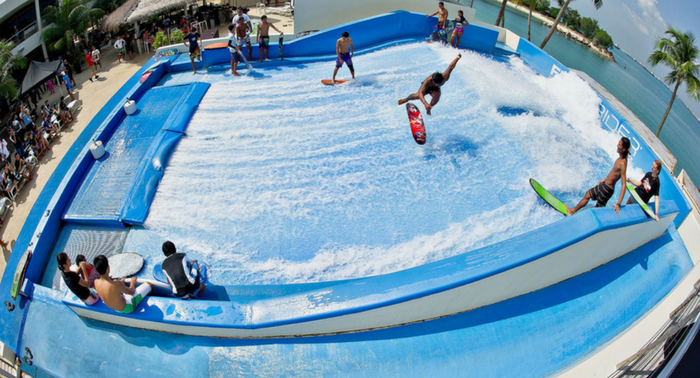 A two hour Double Flowrider package starts at SGD$80.